Coach & Horses, a popular Maltese bar, organised a series of events entitled Home Songs wherein a person was selected to be the DJ for the night and play the songs he / she usually listens to at home. When I was approached to do this I immediately accepted and looked forward to share my favourite songs from the progressive rock / metal / fusion genre that is so close to heart. I also made sure to come up with a poster that also reflected the intricacies and surprising elements prevalent in this genre. 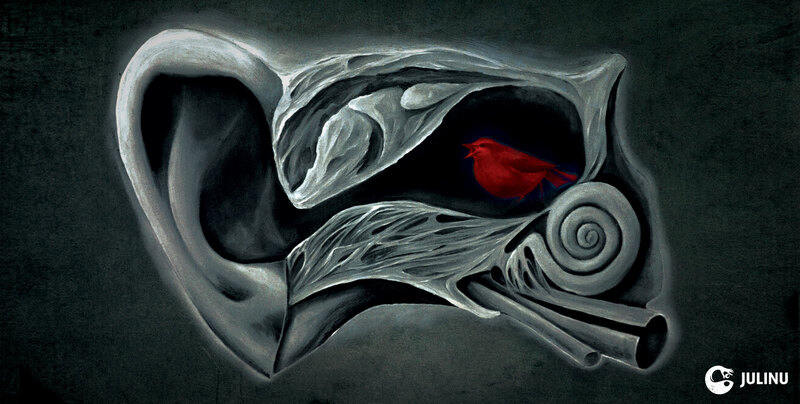 To this end I created an anatomically stylised ear containing a singing bird to illustrate the kind of music that resides in my head. 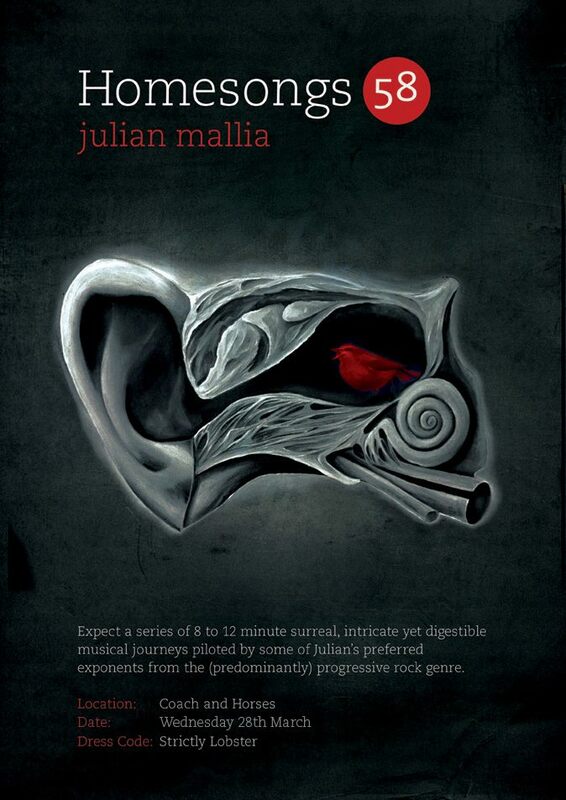 It can also be interpreted also as a literal interpretation of tinnitus – the whistling in one’s ear that can be caused after exposure to long periods of loud music.